At the opening press day of the 2014 North American International Auto Show, VW unveiled the all-new 2015 Volkswagen Golf R at long last. As Volkswagen promised, the newest edition Golf R is the most powerful production Golf to hit American shores yet. 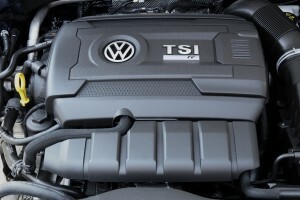 VW estimates the hot hatch, which is powered by “an even more advanced version of the EA888 four-cylinder turbocharged and direct-injection TSI® 2.0-liter engine that’s fitted to the new Golf GTI,” at 290 ponies, which is 34 more horses than we saddled up with last time the German automaker spit out a Golf R (a 2013 model). 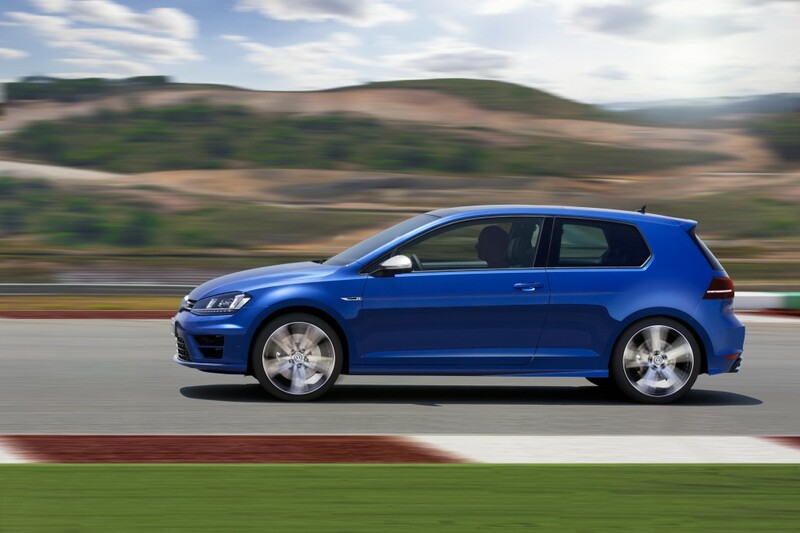 Even with the added boost, the 2015 Volkswagen Golf R still manages to be more fuel-efficient than its predecessor. No EPA estimates have been doled out yet, obviously, so we’ll have to take the automaker’s word for it when they say that the six-speed manual will yield 31 mpg, four more than we got from the trusty, old 2013 model. Power is sent to all four wheels via VW’s 4MOTION® system featuring a fifth-gen Halex® coupling. Volkswagen also gave the Golf R a new sport suspension, stability control system (which can be deactivated if you’re on the track), and a variable-ratio steering system. 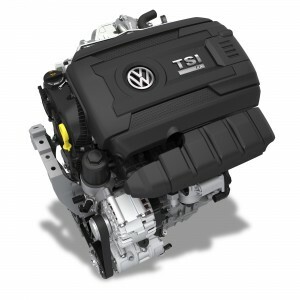 Volkswagen put these in place to ensure enhanced chassis dynamics from the 2015 model. Thanks to the Driving Profile Selector, drivers will get four race modes: normal, individual, race, and comfort. These come with the DCC dynamic chassis control system (optional), which is responsible for controlling the damper valves. The inside is also marked by “Carbon Touch” design for the door trim panels and dashboard, and features pedals, kick plates, and a foot support with a stainless-steel appearance. The instruments and touchscreen’s start menu also received customization updates, and drivers can enjoy the radio and navigation via a 5.8-inch touchscreen. 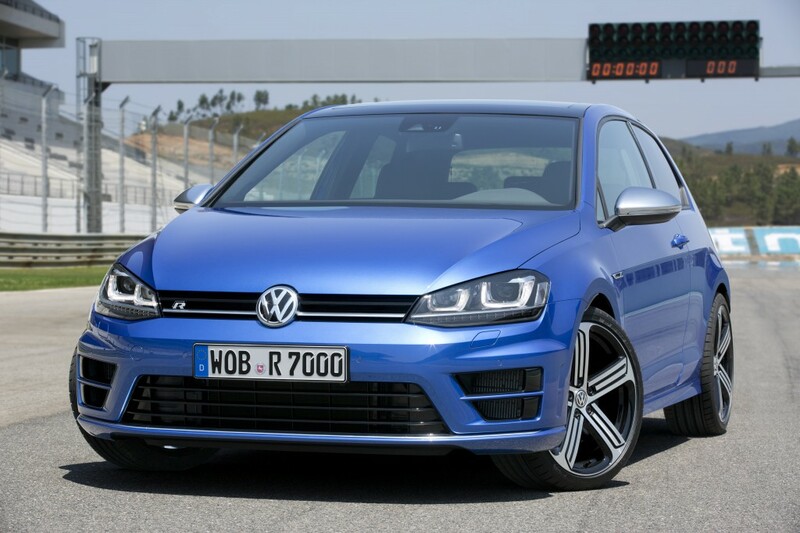 Keep your eyes peeled for the 2015 Volkswagen Golf R to hit the market in the beginning of 2015.